Spring weather has arrived, bringing an influx of tourists and visitors to the North Myrtle Beach area and golf season is now in full swing. Many golf groups visit to experience the warmer temperatures and beautiful landscaping that graces the local golf courses during the spring season. If you haven't already, now is the perfect time to book your beach vacation! For rates and reservations, check our rates online or call our vacation planners at 1-877-647-6438. The property and many of the rooms have seen a tremendous makeover in recent months. Renovations include a new pool enclosure, entrance doors, and now many of our rooms are being painted with a new color. The umbrella poles on the pool deck saw an overhaul and have been recoated with a finish that will withstand years of exposure to the salt air. The property improvements also included updates to the outside. Our engineering team just wrapped up the first phase of the spring landscaping by introducing colorful hibiscus and azaleas along the walkway to the south pool deck entrance. The southern front lawn was enhanced with a variety of colorful lilies, snapdragons, and hibiscus with the remainder being completed in the coming weeks. We have introduced several new items to our continental breakfast menu. 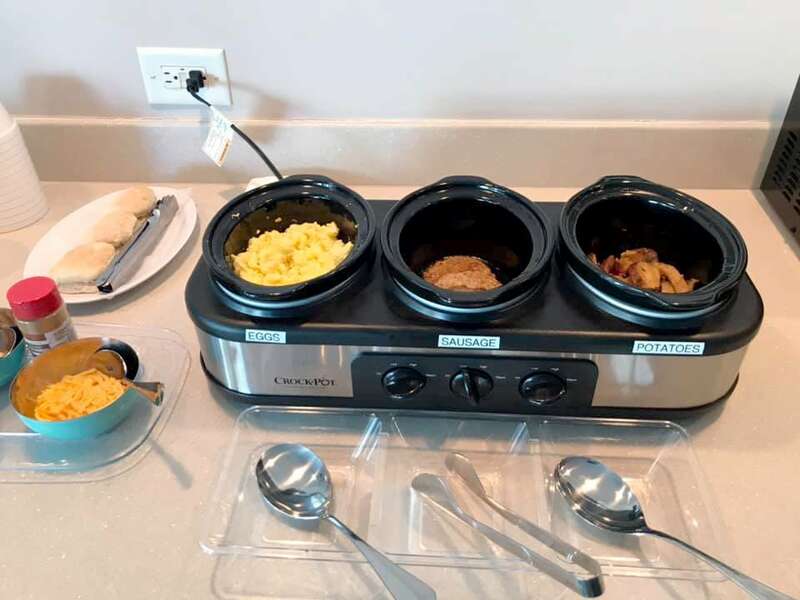 The breakfast room now offers a spread of hot foods, ranging from scrambled eggs, sausage, bacon, grits, gravy, oatmeal, and biscuits along with fruits, breads, bagels and waffles. In addition to the original flavored waffles we are now offering blueberry, strawberry and apple cinnamon flavors. Continental breakfast can be booked as part of your reservation package, or at the front desk upon arrival. Easter is always an exciting time for our guests and staff. The Easter Bunny made his annual visit to Seaside over Easter weekend. Kids of all ages enjoyed the activities hosted at the resort. 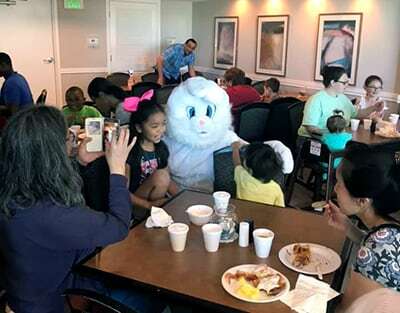 Highlights of the fun weekend included a coloring contest, jelly bean count contest and continental breakfast with the Easter Bunny. We are already looking forward to planning next year's celebration. Do you have any photos from your Seaside vacation that you would like to share? Enter our "Spring Fun" photo contest for your chance to win some awesome prizes! 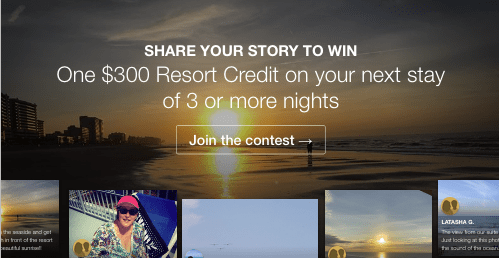 One grand prize winner will receive a $300 Resort Credit on their next stay of 3 or more nights. Two runners up will receive 40% off the standard rate on their next stay. Click here to submit your photo by May 31st for a chance to win! It's showtime! A new dimension of family fun hits Broadway at the Beach with a first-of-its-kind attraction - The Simpsons in 4D. This all-new experience features Springfield's Aztec Theater and Kwik-E-Mart. Guests will rub elbows with the town's popular residents including America's favorite family, The Simpsons. This ticketed attraction includes a fully themed lobby and theater experience. Guests join Homer, Marge, Bart, Lisa and the youngest Simpsons, Maggie in a new 4D Experience® adventure. Next visit the immersive, fully themed iconic convenience store, which sells a wide array of products including Buzz Cola, Heat-Lamp Hot Dogs, and Lard Lad Donuts. Guests can quench their thirst by choosing from a tasty selection of show-inspired Squishee flavors. 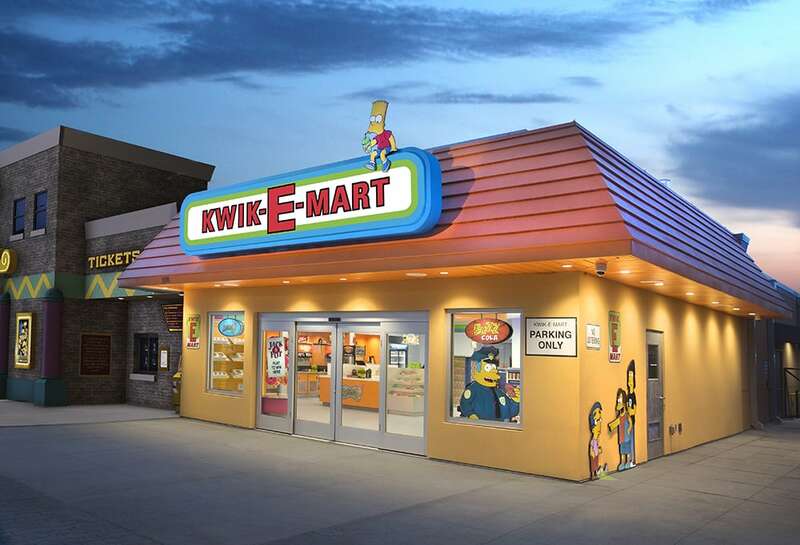 In addition to these Springfield staples, the Kwik-E-Mart offers a variety of food and beverage options, as well as unique The Simpsons merchandise. "I was pleasantly surprised at how great this resort was, considering the affordable prices. The bedrooms were spacious and everything was clean. The breakfast was awesome every day. Also, the staff was more than accommodating during our stay, and the movies were an extra perk!! We can't wait to get back to Seaside!" 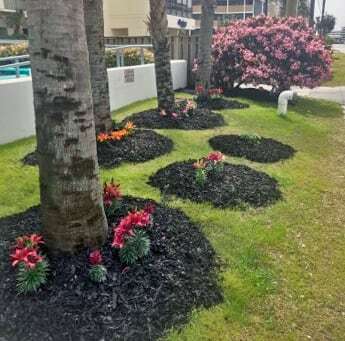 "We had an oceanfront condo and we absolutely loved the view of the beach and ocean. One day the dolphins were playing in front of the condo for about 45 minutes!! We will never forget watching the beautiful creatures. We'll be back for sure!" 1. Place the cheddar cheese, cream cheese, mayonnaise, garlic powder, cayenne pepper, onion powder, minced jalapeno, and pimento into the large bowl of a mixer. Beat at a medium speed, with a paddle if possible, until thoroughly combined. Season to taste with salt and black pepper.